Hundreds of yellow vest protesters in Manitoba criticized Prime Minister Justin Trudeau’s policies by staging a multi-vehicle caravan that stretched for several kilometres. 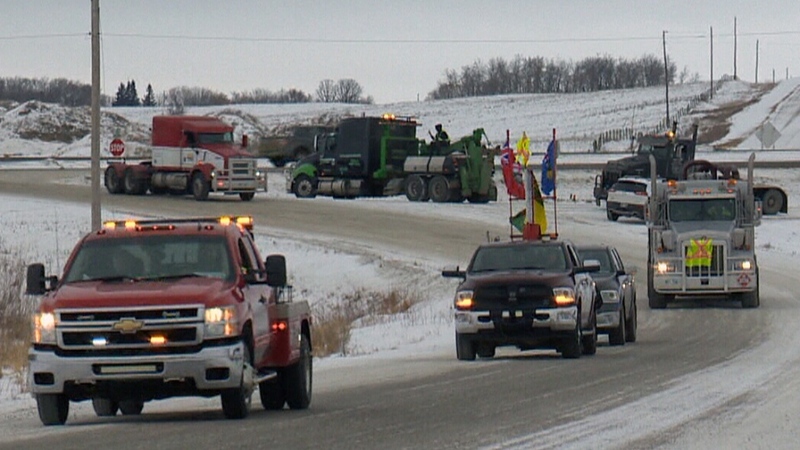 Their “Yellow Vest Virden-Brandon vehicle convoy” was made up of trucks, semi-trucks and cars driving along the province’s Highway 1, between Virden and Brandon, Man. 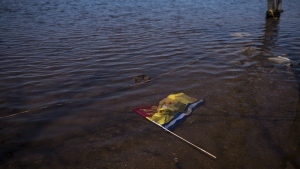 Organizers say it stretched for nearly 10 kilometres. “We got millions of people that want to work and no work, no future,” he said. Fellow protester Sonny Black said he wanted more federal support for pipelines and jobs in Canada's oil industry. Black works in the oil and gas sector and said he was worried about, “everything Trudeau is doing to kill it." Many in the caravan were heavily critical of the prime minister and used the protest as a way to draw attention to the economic situation in Western Canada. "We have a voice and we're using it!” Joyce Muckler yelled as she supported the protests from the street. Protesters claimed higher taxes were preventing them from taking home more money. Rally co-organizer Rick Walker said this is what brought so many people out. “[It was an] awesome good turnout. More than we ever expected,” said Walker, who’s been in and out of the oil business for 30 years. In the past several days, similar yellow vest protests have taken place in Edmonton and Lethbridge, Alta. The yellow vest movement initially started in France at the end of last year because of rising fuel taxes and cost of living. Damen Macgillivray, co-organizer of the event in Manitoba, pointed out that while the protests in Europe were focused on social programs, theirs were not. "I think the yellow vest movement here is about the average tax paying citizen saying ‘that's it, that's enough,’” he said.